Our First Impressions: Is it the pill that can end aging? Too good to be true, if you ask us, but there must be something that Juvenon holds to bravely make this speculation. For starters, you should know that there are many products under the manufacturer’s wings, including the capsules, tablets, Energy Formula, and Youthful Memory. 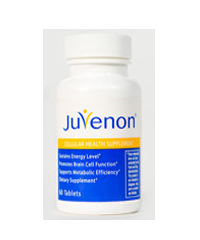 We focused on Juvenon Youthful Memory, which is touted as the miracle molecular breakthrough that helps grow new brain cells and conquer memory loss at any age. Manufacturer: The “proprietary technology” of Juvenon is originally developed at UC Berkeley and from the work of a team led by Dr. Bruce Ames, touted winner of the US National Science Prize and other international honors. The co-founder of Juvenon, Inc., Dr. Ames is hailed as a leading anti-aging researcher. Marketing Practices: Like many other nootropics we have encountered, Juvenon takes the clinical track in its promotions. For instance, it highlights the endorsement of Dr. Andrew Weil, a renowned American health specialist, nutritionist, and author. It also puts the spotlight on the aging research achievements of its founder, Dr. Ames, and how it plays into the benefits of Juvenon and related products. Ingredients: The key ingredients of this formula include NAC or N-acetyl cysteine, a super antioxidant for fighting radical damage in the brain, and vitamins B6, B12, and folic acid. Juvenon also contains alpha lipoic acid, acetyl-L-carnitine, resveratrol, chromium picolinate and biotin, vinpocetine, and vitamin D3. Our gripe is that these key components make it appear that Juvenon is a rather generic formula and does not offer much in exclusivity of product blend. Results: There is some truth to the claims of Juvenon, but did not at all tested for more than a month to see if the benefits will stop manifesting at some point (like in other brain supplements). We also find that the research is largely personality-based (Dr. Ames) and may be lacking where official results and numbers are concerned. Other Reviews: The Juvenon family of supplements for aging, memory, energy, and metabolism enjoy good reviews online, perhaps owing to its decent effects in a manageable period of time. User reviews are close by in content and substance, but also broached the need to ease potential swallowing issues and stomach effects. Cost: Juvenon costs about $39.95 per bottle, which is among the most budget-friendly in our roster. It is also backed by a 60-day money back guarantee, claimed to be among the strongest in the industry. Summary: Juvenon offers a lineup of brain power, energy, and anti-aging supplements, and is anchored on the research and life work of a Dr. Bruce Ames and his team. The key ingredients of the product include NAC or N-acetyl cysteine, a super antioxidant for fighting radical damage in the brain, and vitamins B6, B12, and folic acid. A bottle costs about $39.95 per bottle and comes with a guarantee of 60 days from purchase. Its promotions are mostly clinical, highlighting the researcher’s findings but may need more independent and contemporary data to increase its convincing powers.